Heading to New England to take part in the fall colors? There is so much to see and do! From covered bridges, to zip lining through the fall leaves and even seeing the Newport Mansions in their full fall splendor you will have so much to do! 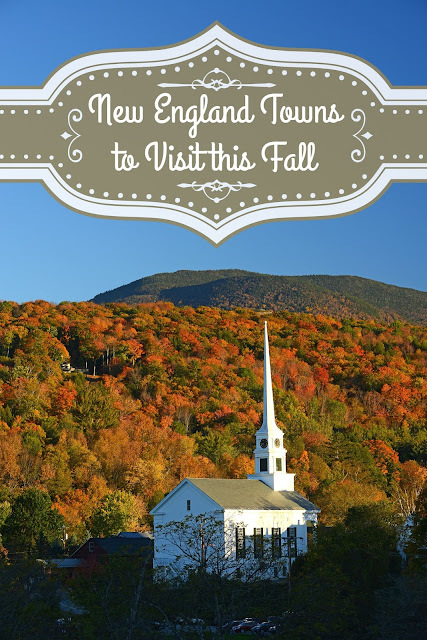 Here are 5 areas you will NOT want to miss when heading to New England. 1. Stowe, Vermont – If the fact that this is where Ben and Jerry’s started (and you can tour the factory!) isn’t enough to convince you don’t forget that Vermont has the highest percentage of Maple trees in New England and that means some of the most beautiful color! You will want to travel the covered bridges and visit the ski museum while here as well! 2. Portsmouth, New Hampshire – The once thriving capital of New Hampshire you can now shop the locally owned stores amongst tree lined streets and old historic homes. Make sure to visit the Strawbery Banke Museum and the historic waterfront neighborhood of homes that date back to the 1600's! Visiting the Portsmouth Harbor light as well as the Rundlet-May House will round out your visit. The fall colors in New Hampshire are bright and bold and you won’t want to miss them. 3. Camden, Maine – From Camden you can visit Acadia Nation Park the fall color comes to life in this state park. They have many small specialty shops, which are perfect for walking and taking in the crisp fall air and the bold colors. You can also visit the rocky coast Maine is famous for! 4. Newport, Rhode Island – Rhode Island is known for their fall foliage but this is the perfect time to tour the Newport mansions! Enjoy the colors and the beautiful design all at once! Make sure to visit the Visitors Center to see what events are going on (and discounts you can score!) while there. You also don’t want to miss the famous Castle Hill Lighthouse. There is so much to do while seeing the colors of fall! 5. Bethlehem, Connecticut – Enjoy the fall colors and take in the Garlic and Harvest Festival! You will have to love garlic for this one, but you can get garlic everything including ice cream (let me know how that is)! Take a drive to enjoy the colors and see the Mark Twain house and other Hartford attractions like the Copernican Observatory and the thrilling zip line through the fall colors. Where to do you like to visit in New England during fall?